Let us transform your home with new siding in several options to choose from. At Wendell Siding, we got our start back in the early 1980s as a siding crew trying to make a name for ourselves. We established a reputation of doing exceptional work with highly responsive and friendly customer service. Here we are, more than 25 years later, still going strong but with quite a few more crews upholding our high standard for quality and service. Unlike most siding companies, we don’t limit your choice to just one type. We are equipped to handle several types, so you can choose what fits your home’s architecture, your personal style, and your budget. Vinyl Siding- Vinyl siding is a popular choice because it requires very little maintenance and is cost-effective. A quality product can give you several years of performance, provided it is installed by a qualified and experienced installer. We also provide and install vinyl soffit, facia, and gutters. Fiber Cement Siding- The popular HardiePlank® brand of siding is a fiber cement siding that provides a more durable result than vinyl, while being easier to clean and maintain than wood siding. This brand is a recognized leader for performance, durability, and lifetime value. It is backed by a 30-year, non-prorated warranty. Another benefit is that it is non-combustible and hail-damage resistant, which may qualify you for a discount on your homeowners’ policy. 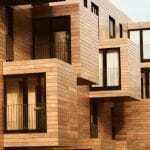 It is more affordable than wood siding. 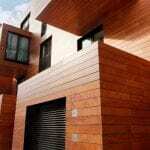 Cedar Siding- Cedar is a beautiful siding option that provides a natural look. Other wood siding options include redwood, pine, spruce, and Douglas fir. Wood siding doesn’t provide protection from fire like other types do and does need regular maintenance to keep in top condition. It can be painted or stained. Brick Siding- Brick is a classic look that affords both fire protection and insulative benefits. With proper care, it can last for centuries, but expect a higher price tag than most other siding options. If you would like to know more about the siding options we offer or schedule a no-obligation appointment for a free estimate, don’t hesitate to contact us. We look forward to giving your Raleigh, North Carolina home the beautiful siding it deserves.